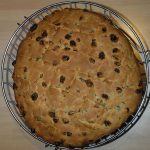 According to the interesting blog placidasignora, u pandùçe is a typical ligurian Christmas cake. In the rest of Italy’s known as pandolce alla Genovese, which translates literally as “genoese sweet bread.” And that’s exactly what it is. 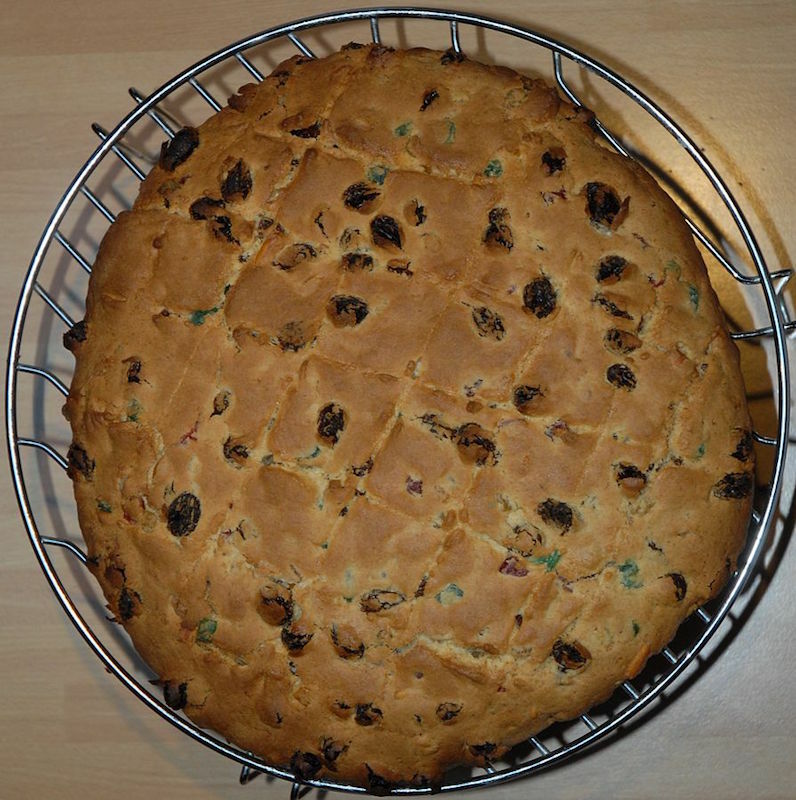 In the western-most part of Liguria, near the border between Italy and France, pandolce is also known as pan du Bambin, the Holy Child’s bread. Its history’s interesting and rooted in a glorious past. According to historian Luigi Augusto Cervetto, pandolce hails all the way from Persia when, in the golden times of the Empire, a sweet bread filled with candied and fresh fruits was offered to the Emperor by the youngest of its subjects, on the early morning of new year’s day. This habit’s the same still respected today in Liguria where it’s the youngest member of the family to carry the pandolce to the table on Christmas Day. According to others, the origins of pandolce are entirely ligurian: it’d derive from an old ligurian bread called pan co-o zebibbo, that’s sultanas bread. This basic recipe was to be enriched with candied fruits, orange blossom water and pine nuts. If you're using fresh yeast, prepare it following packet instructions, diluting it in the milk. If you use dry yeast instead, just add it all to the dough when the recipe calls for it. Mix flour, yeast diluted in milk (or milk and dry yeast), melted butter, sugar and orange blossom water. Knead the dough vigorously until it's soft, smooth and firm. Add all the other ingredients: sultanas, dried fruits, pinenuts and knead for another 30 minutes. Form a dough ball, cover it with a tea towel and and let it rise for 12 hours in a warm place. When baking time comes, butter up and flour an oven dish, place the dough in it, making three cuts on its surface to form a triangle. Bake in an already hot oven at 360 F (180 C) for 60 minutes. There're two varieties of pandolce alla genovese, one "high" (risen) and one "low". The one proposed here is the "high" variety, which is considered the original one. This recipe calls for fresh yeast, the one that comes in little pats and you usually find in the fridge. Good health stores should carry it. Alternatively, you can use dry yeast, but in a different quantity: 30.5 grams. As the pandolce needs to rise for 12 hours, you should ideally prepare the dough a day in advance. Ah... old time sense of humor!